So I love mason jars. Oh wait, you already knew that. I talk about my mason jar obsession a lot. 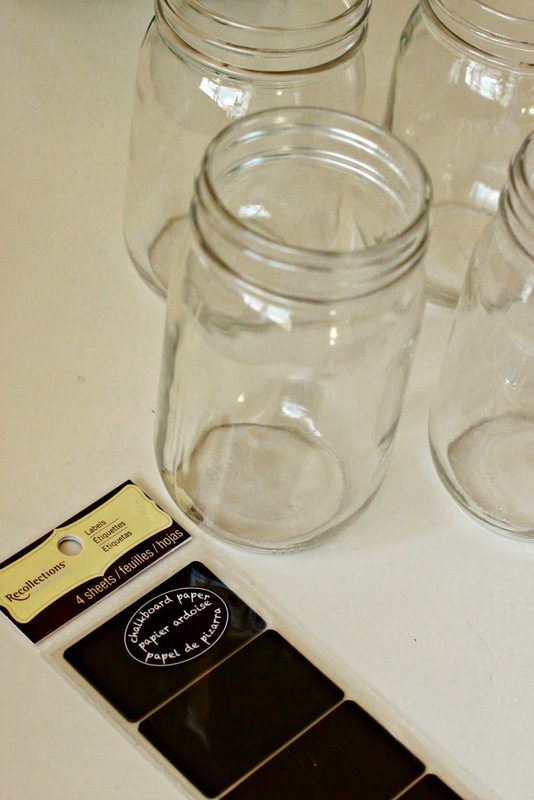 I also use mason jars for tons of projects. Patriotic Centerpieces, Homemade Wassail, Easter Vases, Mini Pies, and SU'Pper Jar just to name a few. 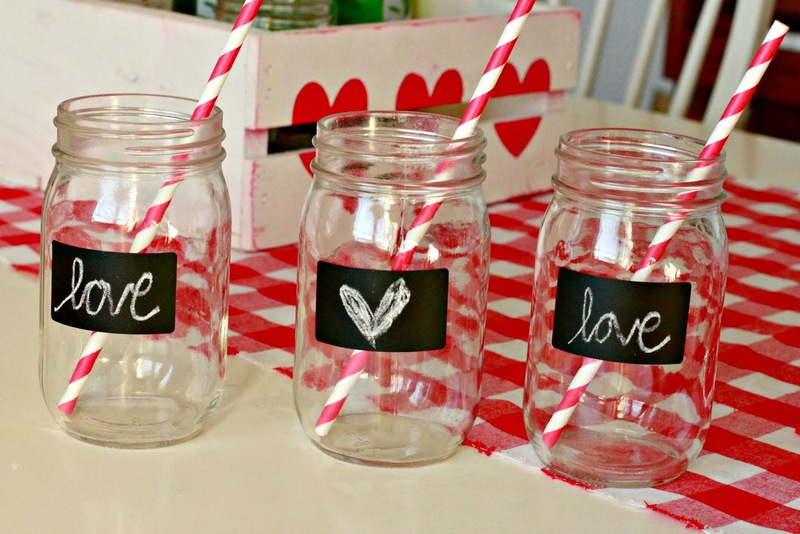 One of my favorite things to do with mason jars is to use them as drinking glasses. When I was perusing Michaels the other day, I found these awesome chalkboard labels. I saw them and the first thing I thought was, "I can put that on a mason jar". I gathered some mason jars, the labels, a piece of chalk, and some pretty straws. The labels easily adhere and are even re-positionable for a bit. Once they are on there good and you let them set for a bit, they stay on really well. I wrote some simple Valentine's words on the labels with a sharpened piece of chalk. Yes you can do that ... sharpen a piece of chalk with a pencil sharpen, that is. 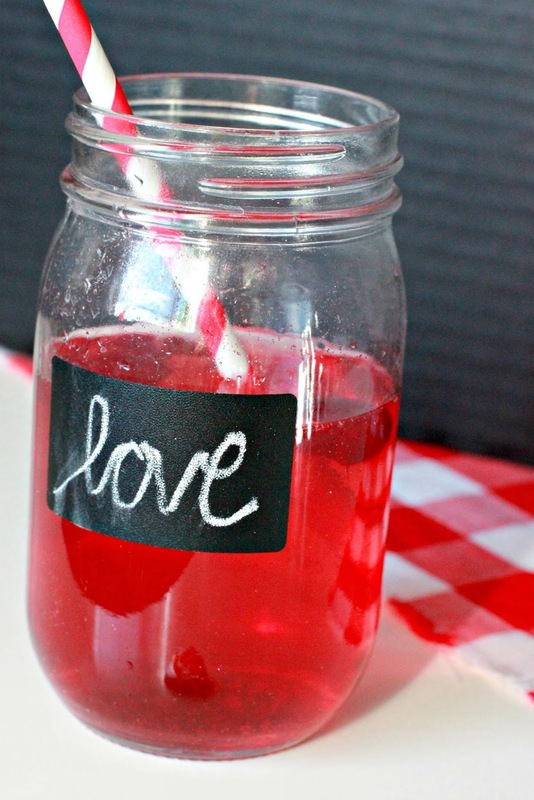 Pour some Valentine's punch...aka red juice or soda, and the cup is instantly Love Day festive. 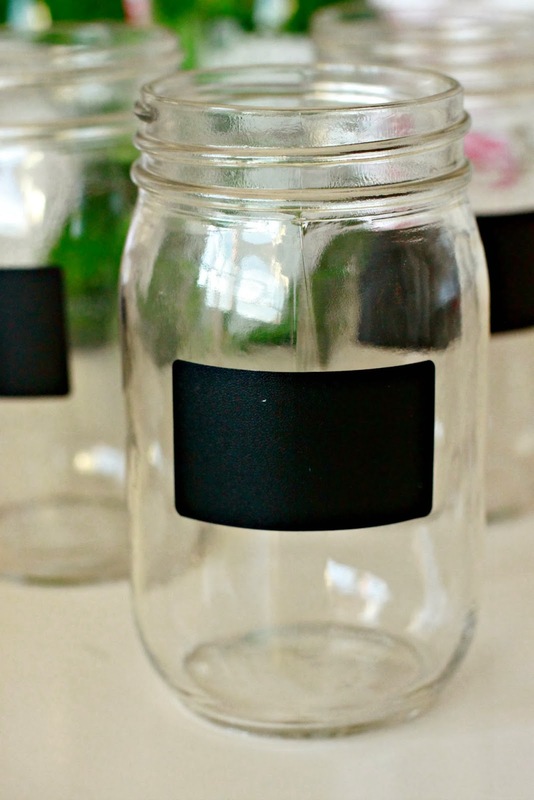 I love Love Day chalkboard mason jar glasses. Luhve. You will probably see them again sometime.